Space-saving mini cabbage stores for up to 10 weeks. Soft, tender deep-green leaves brimming with succulent sweet flavor make this green the new star of the kitchen garden! The nutrient-rich leaves become the perfect lettuce alternative: adding crisp flavor to salads, sandwiches, and slaws. Pointed mini-head lettage is suited for spring and fall growing. Heavy yields and excellent disease-resistance. Stores for up to 10 weeks. Sweetheart Lettage, Caraflex Hybrid is rated 4.3 out of 5 by 8. Rated 5 out of 5 by MissBea from Didn't know what to expect , but will buy again! I bought this for my fall planting because I can no longer find my favorite kale. 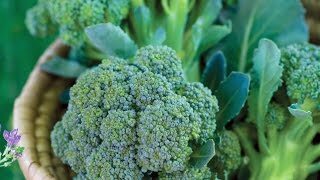 The broccoli, kale and cauliflower plants I purchased at the same time all failed miserably! We just picked the lettage on 12-8-18 from the elevated planter. It has a delicate flavor and buttery texture. I wasted $ on the other 18 plants... should have gotten the one kind. Rated 1 out of 5 by Cynthia D from Very poor germination I planted the whole package of seeds (50) and only got four plants. I am really disappointed. I am a very experienced gardner. I might try again. Rated 5 out of 5 by Emily Gardener from Definitely a Sweetheart of a Cabbage Love this! Very good and a nice size! Mild flavor. I am planting another crop for fall harvesting. Shared it friends and everyone that tried it loved it. My friend's husband insisted on ordering now so he can plant it for a fall harvest as well! 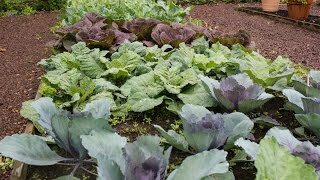 Rated 4 out of 5 by WWARD4911 from HOLY LEAFY STALKS WITHOUT A HEAD... My plants have been growing since last November and have never looked like a cabbage small or large ...... They are basically stalks with leaves popping out of the stalk from bottom to top in every direction. Can I eat the leaves? Rated 4 out of 5 by VegMan from Cool Cabbage! These little heads are wonderful and do last quite a while. Rated 5 out of 5 by BurpeeGardenExpert from Heirloom looks meets Hybrid vigor. I loved to slice up the head into 5 thick slabs, arrange in a baking dish, and let them melt in the oven for the afternoon with potatoes and sausage.